Milwaukee's newest masterpiece will be fully unveiled in the Spring of 2019, but available to book now for your future wedding! The most modern of the Marcus Weddings Milwaukee offering, Saint Kate promises to celebrate art and the creative process and invites its guests to expand their minds to the possibilities of what could be, fully embrace and experience what is, and respect the process that was, which brought us here. 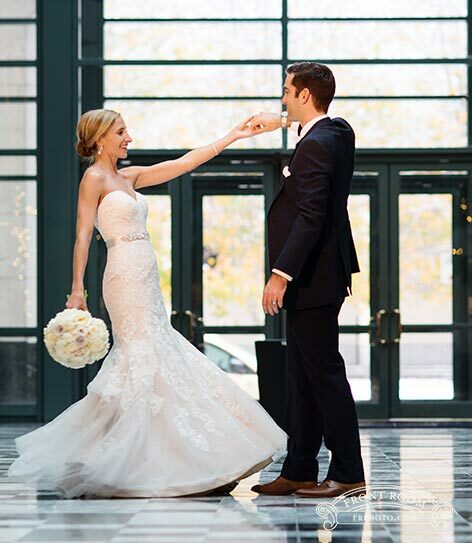 One part hotel, one part exhibition and performance venue, Saint Kate will guarantee your wedding makes it's mark. Be the first on the list to experience this revolutionary space.